With the festive season fully upon us, i’m sure i’m not the only one who is already excited to start getting the Christmas jumpers out. Now granted, other than this blog post you won’t catch me wearing any before December but I thought i’d share some of my favourites from Pretty Little Thing and how i’d style them up. When it comes to Christmas jumpers, I always love the quirky and funny ones especially as they just add to the Christmas spirit and this Rollin’ With My Snowmies Christmas Jumper* (£15) is just perfect. As this one is quite a funny jumper, I decided to keep it quite casual with a simple pair of black jeans, converse and with it being so chilly i’d definitely wrap up with a cute winter hat and faux fur gilet. You could easily transition this look by switching out the converse for some black boots for some after work drinks or mooch around the local Christmas markets. 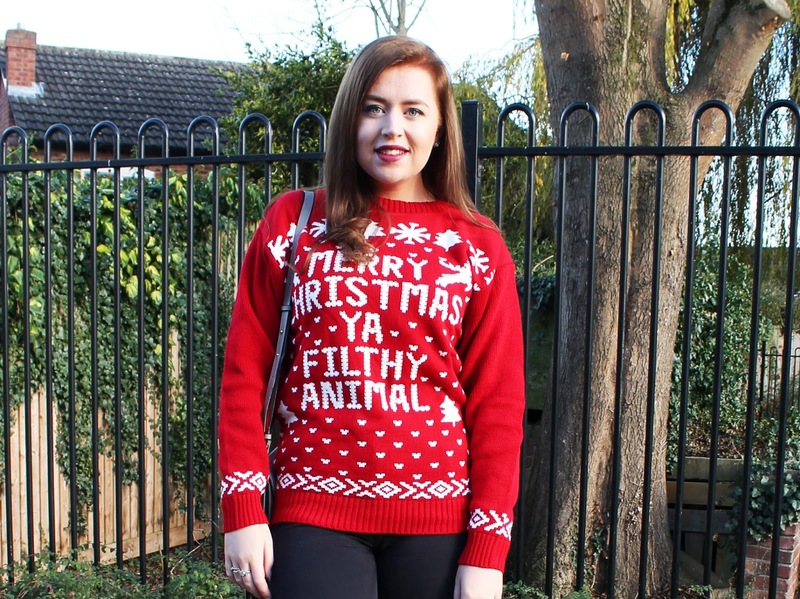 Every year I see this style of Christmas jumper and I just love these Filthy Animal Christmas Jumper* (£15) as they just scream all things Christmas! I’ve styled this up with a simple pair of black jeans because you can’t go wrong and my favourite knee high boots that always come back out during winter, as you can wear them for any style of occasion whether it’s a work Christmas meal or some drinks at the local. Out of all of the Christmas jumpers, this Black Festive AF Jumper* (£15) is definitely my favourite as it just shows the basic side of my style perfectly and I just love it! I thought this would go perfectly with a black mini skirt as the cropped style works really well, and throwing on some heeled boots instantly dresses up the outfit. Again with the weather being so chilly at the moment, a faux fur gilet is the perfect thing to throw over a Christmas jumper! 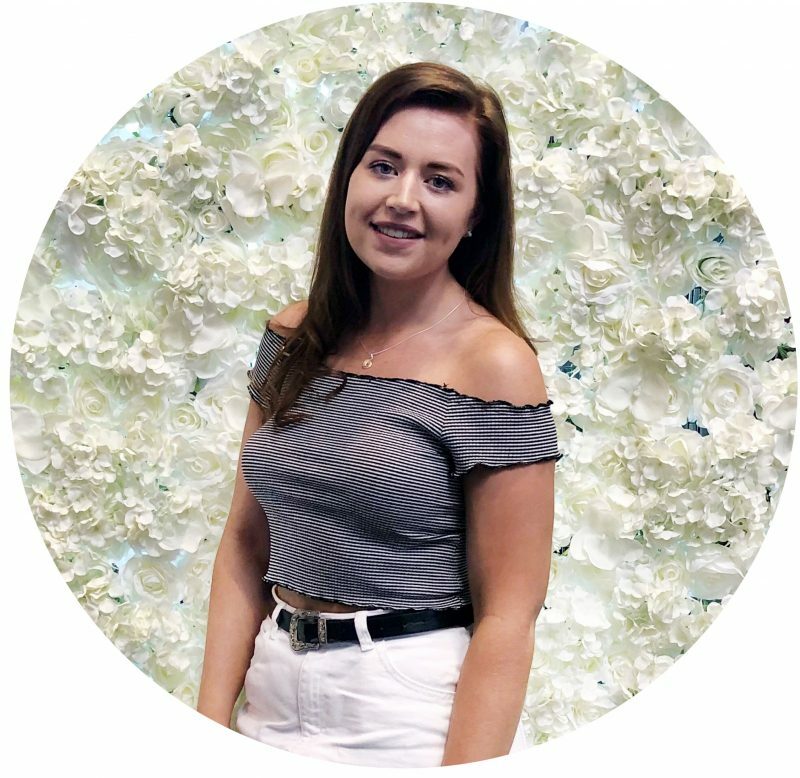 If you’re wanting to treat yourself to a new Christmas jumper this year, make sure to check out Pretty Little Thing and their affordable range of Christmas Jumpers, as they have so many different styles to choose from! Have you pulled out your Christmas jumpers yet?